If you're near the Rose F. Kennedy Greenway, be sure to look up. A new, high-flying piece of public art began to take shape on Sunday morning. Dozens of workers closed nearby streets and set to work installing the new piece of public art using a battery of cranes and scissor lifts. Brookline artist Janet Echelman designed the 600-foot shimmering fiber sculpture made of polyethylene rope to respond fluidly to the wind and weather. Cranes attached the 2,000 pound fiber sculpture to Financial District skyscrapers hundreds of feet in the air. Greenway curator Lance Cowan says people will be able to experience it night and day. 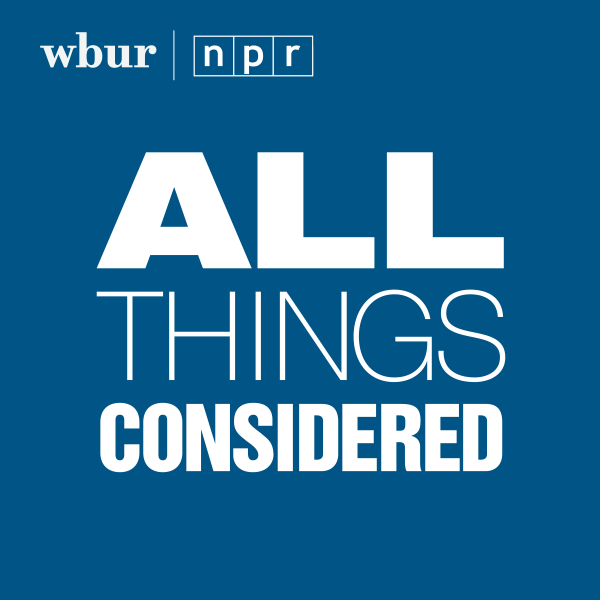 "You’re going to be cast with the shadow of the net and watching the rippling of the movement within the wind," Cowan tells WBUR's Andrea Shea. "And if you come at night and around dusk when the LED lights comes on, it almost looks like a giant jellyfish that’s floating in the air." A public opening is planned for May 11. It will remain suspended between high-rise buildings through October.